For me winter is the season of Kababs and cakes !!! 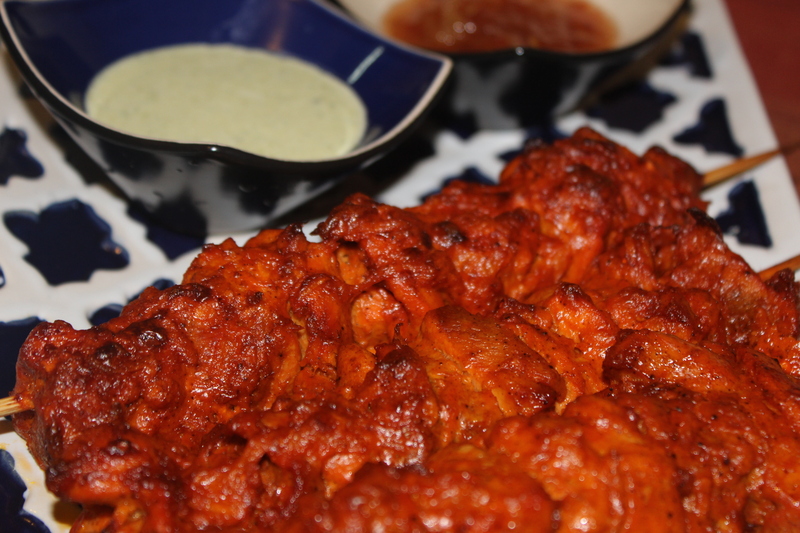 What can be more enjoyable in a chilly winter evening to enjoy yummy hot kababs with paratha or Naan ?? Oh , I don’t find anything else to name !!! 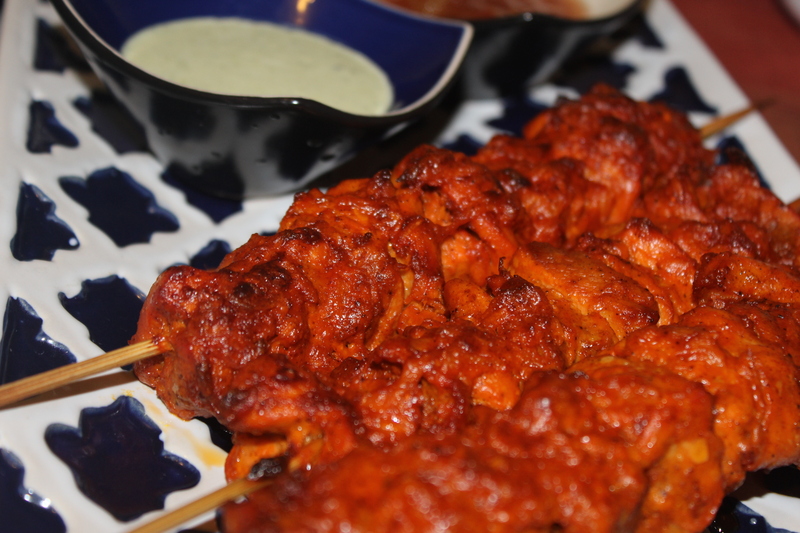 Let’s brighten up our grey , dull winter evening with Chicken tikka boti or chicken kathi kabab, as skewered in “Kathi”/ stick , whichever name you find appropriate. 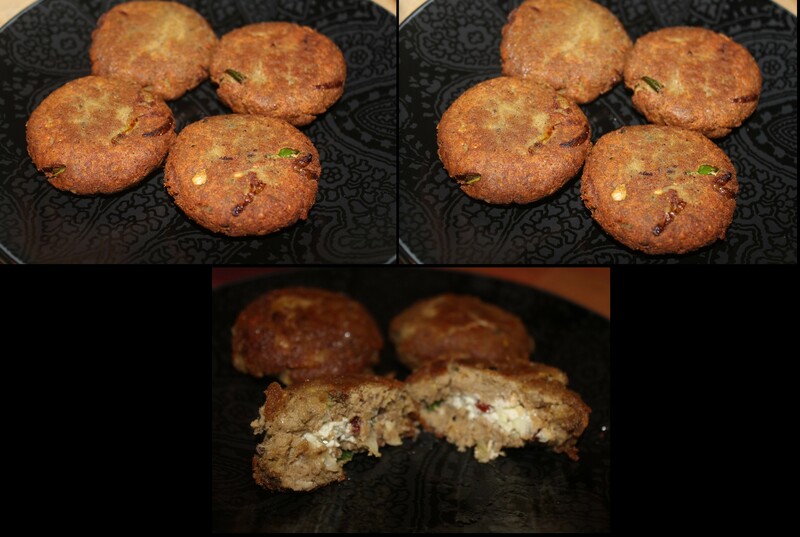 I actually made this kabab for the kabab rolls . They went so good together . But before that let’s come to the kabab recipe . 1. 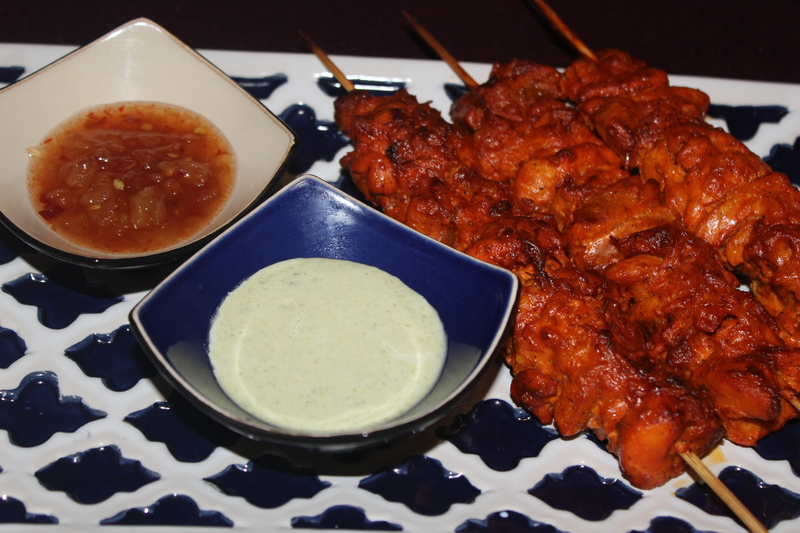 Marinate the chicken pieces with above ingredients for at least 24 hours . Keep them in the normal chamber of the refrigerator. 2. Smoke the chicken pieces with coal if you wish to get restaurant style flavor. For that light the coal on your stove top very well . Put it in a small metal bowl or small aluminium foil cup . keep the cup or bowl over the bowl of marinated kabab . Add some ghee over the coal . Immediately cover the whole kabab bowl with something large utensil to seal the smoke inside . Remove the cover after 5 to 10 minutes . Your kabab is smoked . 3. Skew in a wooden or metal skewer . If you are using wooden/ bamboo skewer , soak the skewer in water for at least 2-3 hours to prevent blackening while grilling. 4. 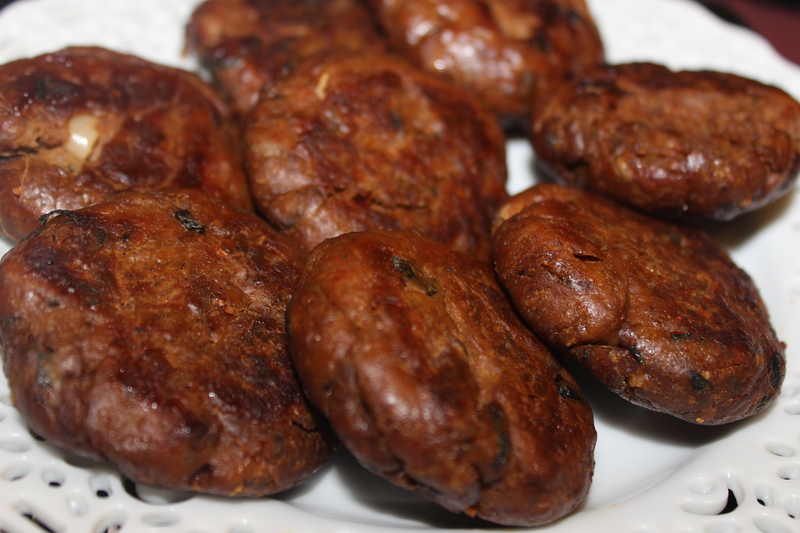 Bake the kabab in a preheated oven @ 400 FH ( 200 c) for at least 30 minutes . Then broil another 5/ 10 minutes if you wish to have that charred effect . I have seen many galwti kabab recipes where egg is used for binding !! A big “No way ” !! Original recipe never had any egg in it . Roasted chickpea powder ( not flour) is used , in a very small amount to act as the binding agent . For that dry roast the chickpeas first . Then grind it into a powder . If you don’t want to do much hassle , use the besan ( gram flour ) , but try to dry roast a bit until fragrant . Careful , don’t burn the besan as that would taste bitter . Don’t skip the papaya paste . That’s the one of two ingredients that make the kabab so melt in mouth . The other ingredient is mutton or beef fat . In authentic recipe mutton is used for this kabab , but beef would do too . If you can’t find the mutton or beef fat , don’t worry substitute it with ghee . Lightly dry roast the ingredients and crush into a powder . 1. blend/ chop the keema again in a food processor or chopper . While blending it again add the 3 tbl spoon of ghee as mentioned in the ingredients list . Now add all the ingredients with the keema . If you wish you can give charcoal smoke in it . For giving charcoal smoke , lit a charcoal , then place it in a small aluminium or metal bowl . Place it on the keema and add some ghee over the charcoal . As soon as you add ghee on charcoal , there will be huge smoke . Cover the bowl of the keema with a lid . Keep it like this 5 minutes or until the smoke extinguishes . 2. Marinate the keema for at least 12 hours . The more , the better . Now shape the kababs and grill on charcoal or shallow fry in a grill or frying pan on the stove . I did bake the kababs at oven . For that grease a baking pan and line with parchment paper . Now bake the kababs in a preheated oven for 20 minutes @ 400 Fh . Now Broil another 5 minutes at the same temperature . 1. Double minced means , after making the keema , mince it again. You can do it in a food processor , blender , chopper . That’s the reason of being the kababs so tender . But remeber , kababs like galwti , tunda, kakori where twice or thrice minced keema is required , don’t wash the keema after getting them minced . 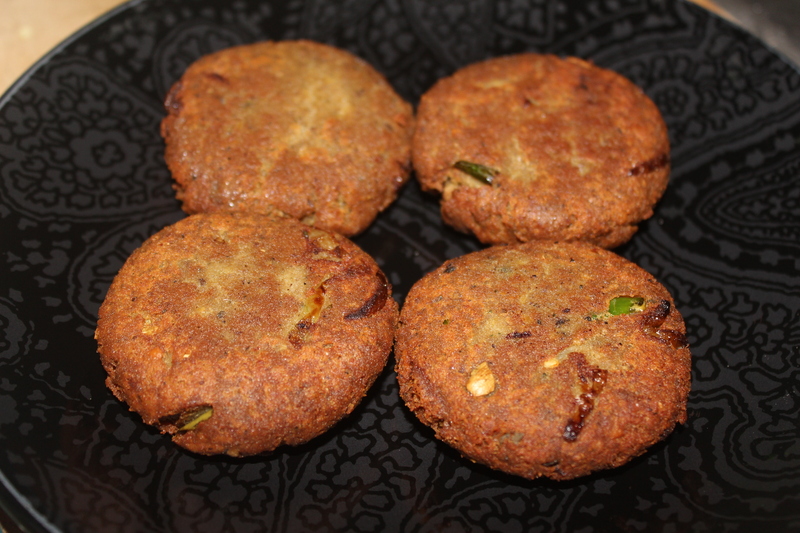 If you wash the keema , let alone the flavor , the kabab will come apart as soon as you try to fry or grill them . So for that or any keema , please tell the butcher to wash the meat first , then dry out the water with a ktchen tissue or towel , then mince it . I always tell my butcher to do so . It doesn’t take too long. 3. if you use besan , instead of dry roasted chickpea powder . please dry roast the besan first . But don’t over fry . It would taste bitter if over fried . Dry roast 2/3 red chilies , 1 tbl spoon cumin , 1 tbl spoon whole coriander , 4/5 cardamom pods , 2 tea spoon fennel ( mouri) , 9-10 cloves , 1 tea spoon black pepper , 1 tea spoon mace ( javetri) , 4/5 all spice . Now grind them into a fine powder . But remember don’t make the red dry chilies too dark or burnt. 1. Marinate the chicken pieces with all the ingredients. Smoke the chicken . To give the smoke , take a burning coal in a small metal or foil bowl . Place it over the chicken and add the ghee over the coal . Cover the bowl of the chicken with a lid so that the smoke is sealed inside . Keep it like this for 10 minutes . Now take out the coal , cover the bowl with plastic or cling film and keep it in the refrigerator for at least 12 hours . The more , the better . 1. To get the bright red color , do not use the red color only , that would give a kind of pinkish repulsive red color on the chicken . 😦 So to get the perfect color mix red and orange food color together . 2. Please , do smoke the chicken to get the authentic flavor . Don’t skip this part . Many are confused to lit the coal . I always do on my stove top . It’s nothing really difficult . 3. The time in the oven always varies depending on each oven . While broiling , don’t put the baking tray so close to the heat . In some oven things get broiled sooner than others . So always keep an eye while broiling . Tuna, Mushroom, cheese delight !!!!!!!!!!!! Super easy way!!!!!!!!!! 1. In a pan fry the chopped mushrooms until soft. 2. Blend it into a smooth paste. 3. Add tuna ( drained well, so that not a single drop of water is in it), egg and mashed potato and blend again. 4. Now mix breadcrumbs with it add other ingredients except cheese. 5. Shape them according to your choice and put a little amount of cheese inside your kabab or chop. Shape them well so that no crack is there. 6. deep fry them on medium low heat.